Over the last few weeks Apple has quietly debuted a new YouTube channel dedicated to one of its services: Apple TV. The Apple TV channel is home to a variety of videos, like trailers for upcoming films and TV shows, exclusive behind the scenes clips and interviews tied to popular shows and movies, and, of course, videos highlighting Apple's own original content efforts, like an Apple TV+ trailer and Carpool Karaoke previews. Every video on the channel appears to be ad-free, which could offer a compelling reason to watch trailers for upcoming films, such as Star Wars: The Rise of Skywalker, through the Apple TV channel rather than a competing channel where ads are commonplace. The launch of an Apple TV channel on YouTube is no big surprise, particularly as Apple moves further into the video and entertainment space. However, the channel does have an odd, yet interesting relationship with Apple's own TV app. While the channel serves to promote the Apple TV service, its videos by and large aren't available on that service's app. The behind the scenes clips and interviews found on this new channel are not currently available in the Apple TV app, only on YouTube – though it's certainly possible that will change in the future. Similarly, most of the trailers on YouTube are unavailable in the TV app, since unreleased films and shows don't exist in TV's content database. Trailers for unreleased films have historically been served through Apple's iTunes Trailers platform, which is still alive though somewhat stagnant – the iOS app hasn't been updated for a year and carries many dated design conventions. However, the launch of an Apple TV YouTube channel may indicate Apple's plans to slowly shutter that service. 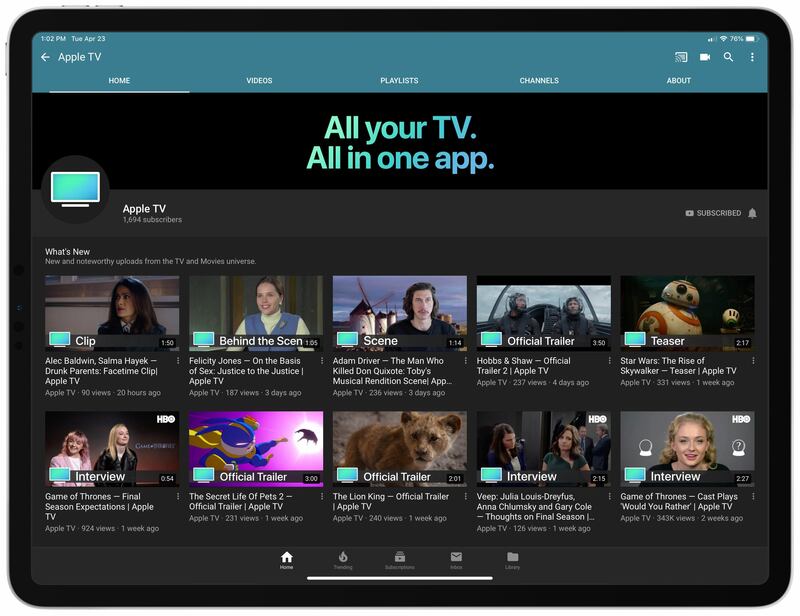 As Apple's redesigned TV app launches next month as part of tvOS 12.3 and iOS 12.3, and we draw nearer to the launch of Apple TV+ this fall, it will be interesting to see what kind of content Apple funnels through this new YouTube channel rather than the TV app itself. Will most videos continue to be YouTube-exclusive, simply serving to promote films and shows that can be watched in the TV app? Or will the TV app eventually house all of this content as well, with YouTube merely serving as a means of greater exposure for Apple's TV efforts? We shouldn't have to wait long to find out. 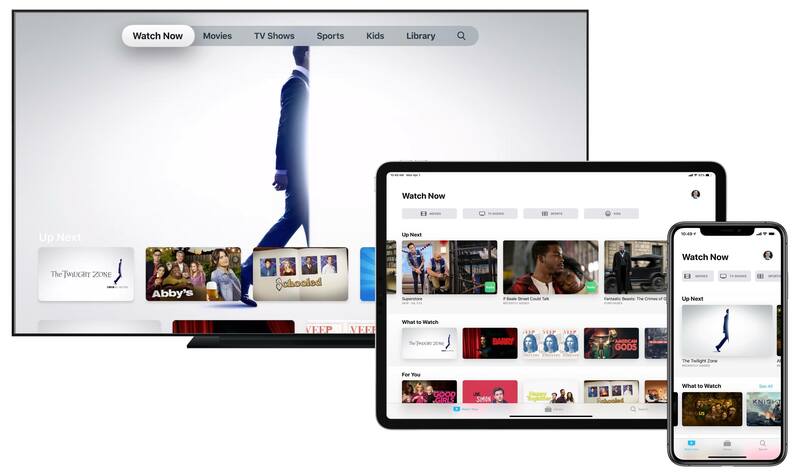 Apple's TV app is getting a makeover, and just in time for its expansion to smart TVs and third-party streaming devices. 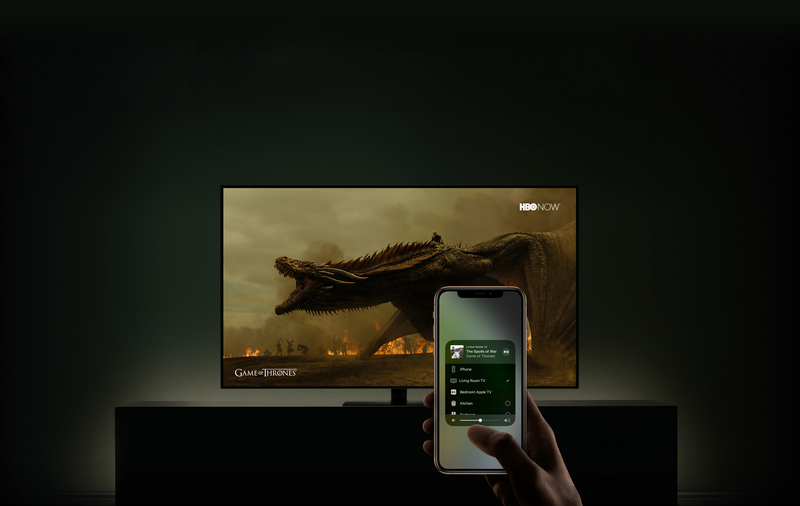 The new app is coming first, of course, to Apple's own hardware: the Apple TV, iPhone, and iPad will be updated in May with the new TV experience; the Mac will follow this fall. I've used Apple's TV app as my primary video hub since it launched in late 2016, so I was eager to get my hands on the updated app. Fortunately, I didn't have to wait long – an early version of the new TV app is available now as part of the iOS 12.3 and tvOS 12.3 beta releases. Here are full details on all the ways it's new and improved. 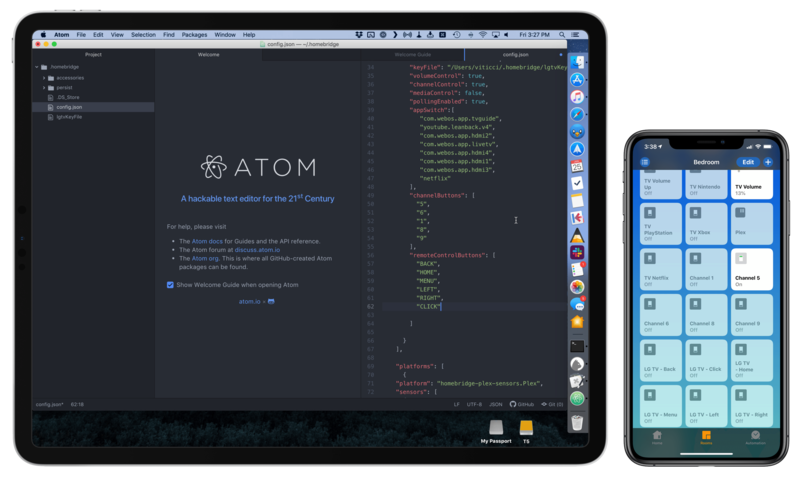 Today following its event at the Steve Jobs Theater, Apple released the latest major update for iPhones and iPads: iOS 12.2. This version of iOS launches Apple's just-debuted subscription service for News, includes support for enhanced AirPlay 2 controls on compatible TV devices, plus it brings four new Animoji, and more. As I noted yesterday, the launch of the developer beta of iOS 12.2 has brought the necessary underlying APIs for manufacturers of smart TVs seeking to integrate their television sets with HomeKit. Originally announced at CES 2019, the initiative encompasses both the HomeKit and AirPlay 2 technologies, which the likes of Samsung, LG, Vizio, and Sony will roll out (albeit to varying degrees) in their upcoming smart TVs over the course of 2019. Thanks to the HomeKit Accessory Protocol and the work of enterprising third-party developers, however, it is already possible to get an idea of what the HomeKit part of these integrations will be like by installing unofficial plugins that add HomeKit compatibility to existing TV sets via software. Thanks to developer (and homebridge contributor) Khaos Tian, I've been able to test native HomeKit integration with my 2017 LG TV running webOS, which does not currently support HomeKit out of the box and which, according to LG, will not receive an official software update for HomeKit support in iOS and tvOS 12.2. In this post, I'm going to share my first impressions of HomeKit's new TV features in the iOS 12.2 beta, describe how it all works in practice, and share some suggestions for changes I'd like Apple to implement by the final release of iOS 12.2. By essentially faking the existence of a HomeKit-compatible Smart TV accessory on his network, he was able to add a television tile into his Home app. This reveals new interfaces for controlling the TV. You can tap on the tile to turn it on or off and access the Details menu to change input. Tian has posted a series of examples of this new HomeKit integration on his Twitter account, including one where he was able to control his LG TV running webOS from the iPhone's Home app. Interestingly, Tian has already contributed an update to homebridge – the third-party plugin to add all kinds of different accessories and platforms to HomeKit – with support for HomeKit's new TV control APIs. Here's where this gets really interesting for me: despite the launch of an online petition, LG has only confirmed that their latest 2019 TV sets will receive official HomeKit support. Thanks to homebridge, however, it should be possible to add native HomeKit integration to older LG televisions (such as my 2017 model) with plugins that bridge the webOS API to HomeKit's new endpoints. This is precisely what Tian is doing for his demo. Configuring homebridge plugins (left) requires working with a JSON document. But it works. I've been running homebridge and this plugin without issues for months now, and I've gotten so used to asking Siri to change inputs on my TV, I can't imagine not having these integrations anymore. A recent update to homebridge-webos-tv even added support for individual channel input and more remote control buttons. For this reason, assuming that the folks at LG don't change their mind and ship a HomeKit software update for older TV sets, I think I'm going to experiment with a dual setup for webOS TV support in HomeKit: some controls based on the official HomeKit API, and others provided as custom switches – both based on homebridge plugins. But that's a story for another time. On the heels of the announcement that Samsung Smart TVs are gaining an iTunes Movie and TV Shows app and AirPlay 2 support, Apple has updated its AirPlay 2 page to highlight additional features that are coming to AirPlay 2. AirPlay 2-Enabled TVs: Samsung may have been the first to announce support for AirPlay 2, but Apple's webpage indicates that the feature is coming to 'leading manufacturers,' so expect more announcements at CES and beyond. In addition to using AirPlay 2 to send video from an iOS device or Mac to a compatible TV, consumers will be able to play music on their TVs and sync it with other AirPlay 2-compatible devices in their homes. Control Your TV with Siri: Perhaps the most interesting feature is the ability to use Siri on your iPhone to send video to your TV. Because the new feature works in tandem with HomeKit, if you have multiple AirPlay 2 TVs, you'll be able to specify the room in which you want the video to play. Convenient built-in controls appear in apps, on the Lock screen, and in Control Center. So you can easily play, pause, fast-forward, rewind, and adjust the volume on your TV. 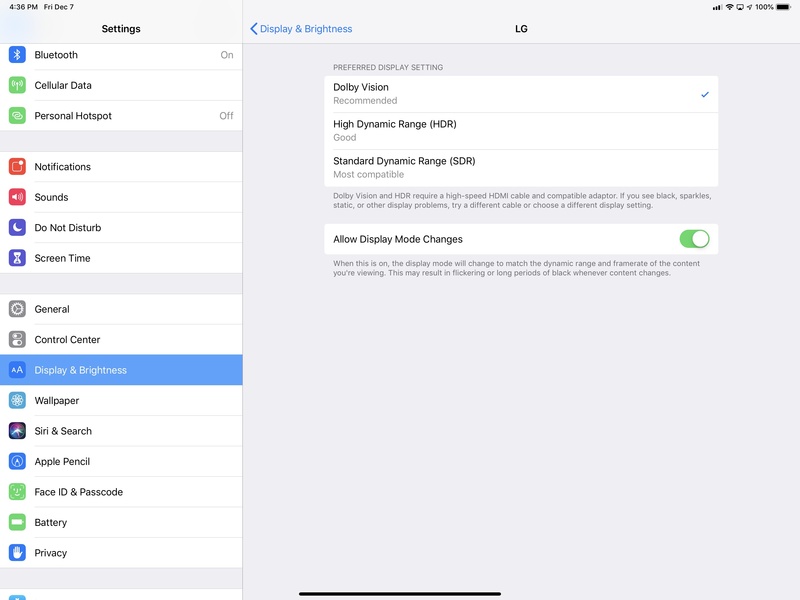 Controlling the volume of a TV via AirPlay 2 would be new, and perhaps there's something coming related to Apple's reference to "built-in controls... in apps,' but playback controls on the Lock screen and in Control Center already exist. Apple is clearly using the days leading up to CES to implement the first moves in its video strategy. Observers have long wondered how Apple planned to extend the reach of a video service beyond the relatively small number of Apple TV owners. By cutting deals with TV manufacturers, Apple is moving down a path that is similar to the one Google has taken with the Chromecast and will be able to reach many more consumers. I wouldn't be surprised if we see these new AirPlay 2 features begin to appear when Apple ships its first iOS 12.2 betas. 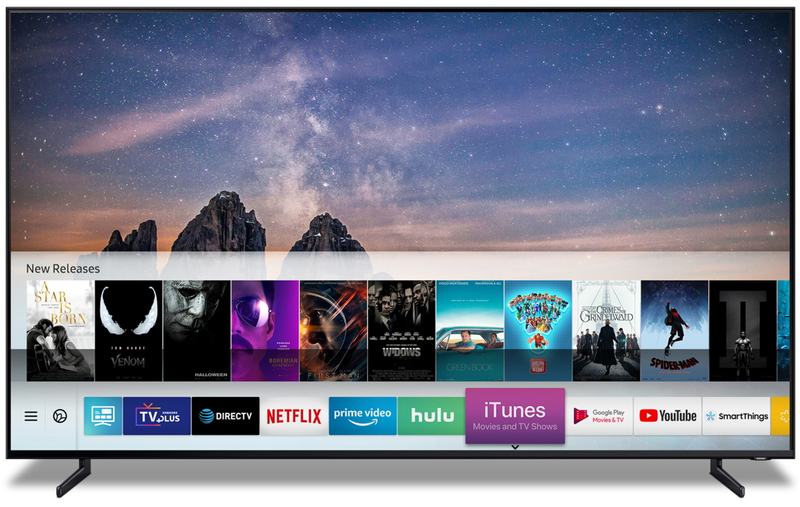 In a first among TV manufacturers, Samsung has announced that its 2019 TVs will ship with an iTunes Movies and TV Shows app in over 100 countries as well as AirPlay 2 support in 190 countries. 2018 models will receive the same support via a firmware update. We look forward to bringing the iTunes and AirPlay 2 experience to even more customers around the world through Samsung Smart TVs, so iPhone, iPad and Mac users have yet another way to enjoy all their favorite content on the biggest screen in their home. 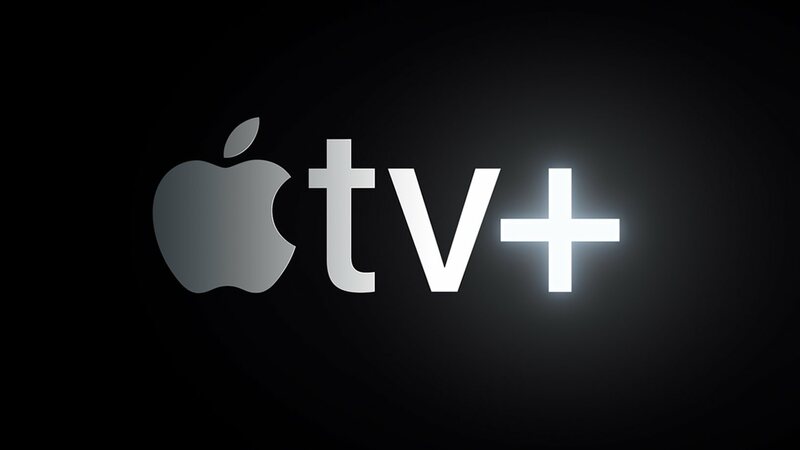 Apple's partnership with Samsung, one of the largest global TV manufacturers, is particularly notable given Apple's efforts to amass a stable of original content for a long-rumored video streaming service. By making existing and future content available directly within Samsung's Smart TV system and providing a means for iOS device and Mac owners to easily play content on Samsung TVs, Apple greatly expands the potential viewership for the content it offers. As I mentioned earlier this week, I have been looking forward to Belkin's USB-C to HDMI adapter for the new iPad Pro since I discovered the accessory was announced on the same day of Apple's Brooklyn event. The unique proposition of this adapter is support for 4K @ 60Hz video-out with HDR and HDCP 2.2, which, as I noted in yesterday's iPad Diaries column as well, I haven't been able to find in other USB-C adapters so far. I just spent 30 minutes playing with the iPad Pro connected to my 4K TV through this adapter, which arrived this morning, and I'm happy with the purchase, even though there is one significant drawback.